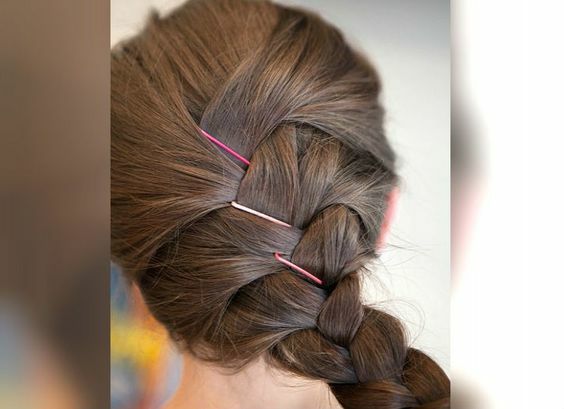 If you love experimenting with your hair Booby pins are already your best friend. They help in keeping hair in place and holding your elaborate hairstyle for hours together. 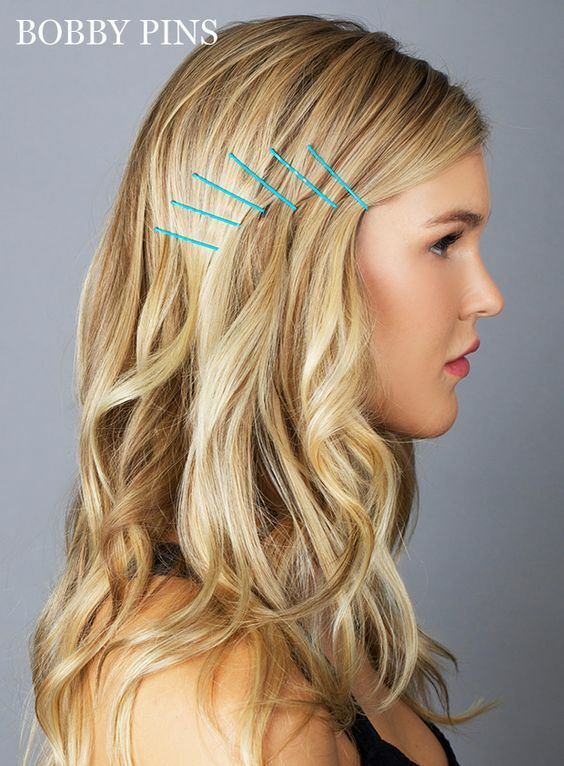 Bobby pins for me are a must have, especially in summer but it is only recntly that i discovered some super stylish ways to wear them. 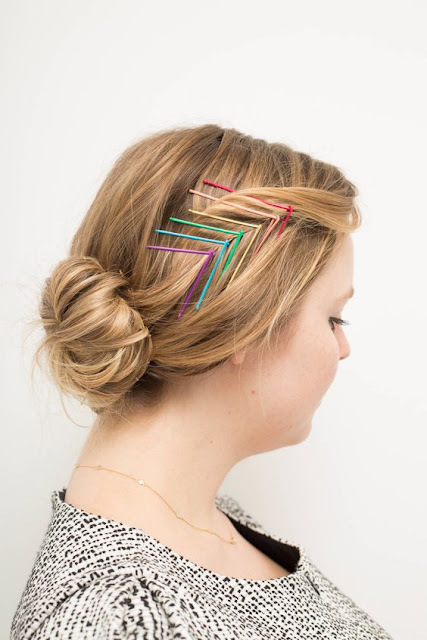 Early on I tucked my strands in with a bobby pin and tried to hide the pin but these days I have spotted so many coloured and cute pins that I cant help but flaunt them off as a part of my fun hairstyles. If you feel lazy and still want to make a fashion statement go simple on your makeup and apparel and flaunt off your old boring bobby pins is stylish new ways. 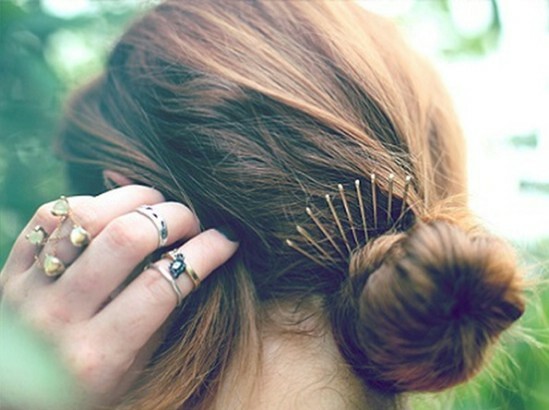 Here are some Fun and Cute Hairstyles with Bobby pins I discovered. They are so easy and Iam sure you will be forced to try them! 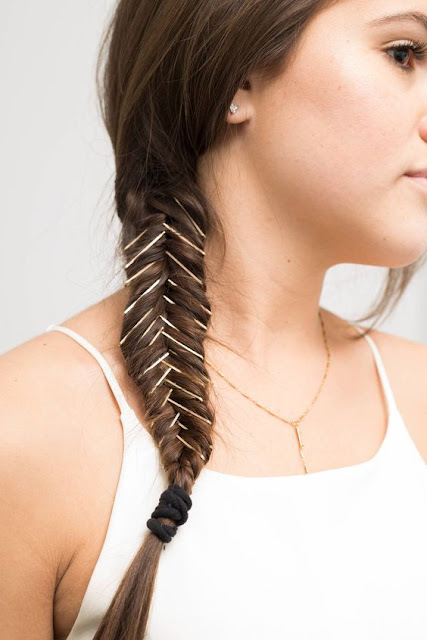 Spice up your normal fishtail braid by adding bobby pins into the braid after braiding is done. For maximum impact use pins in contrasting colour of your hair. 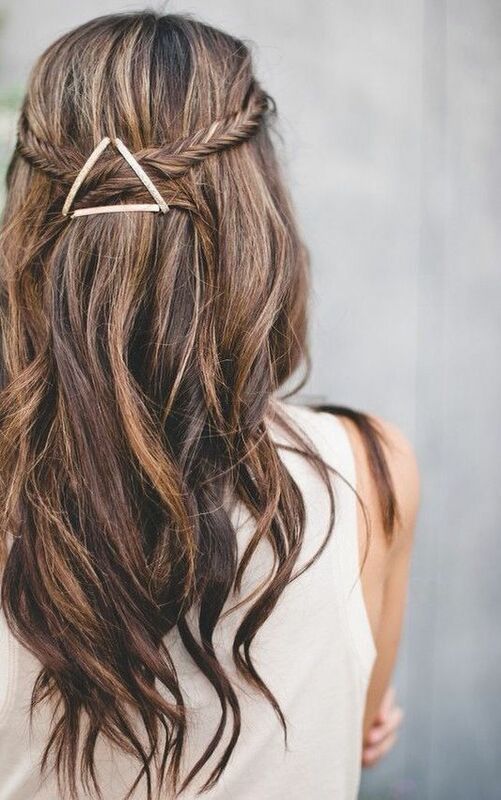 Give your half up half down hairstyle a glam twist by securing it with a series of bobby pins to give a faux clip effect. Hashtags are all rage these days being used not only on twitter but also on facebook and intagram. Show off your geeky side with a hashtag in your hairstyle. This is super easy to do and perfect for date. 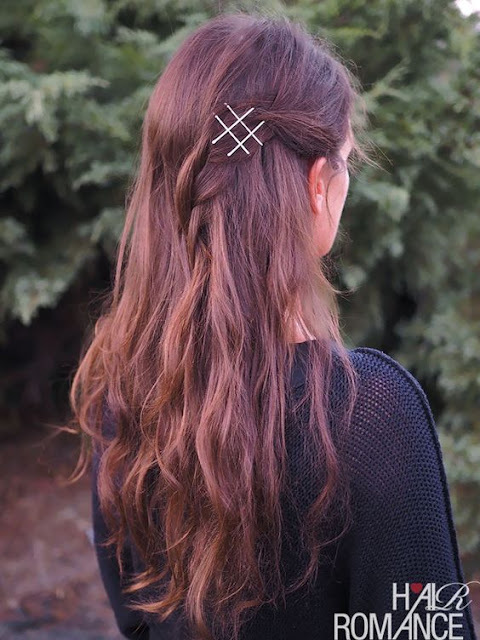 Crossing two bobby pins over each other to form an X holds hair more tightly and for longer period. This criss cross pattern also lends a fun vibe to your hair style. Most Indian girls already secure hair at the side with bobby pins for a stylish do the same thing in a vibrant colour. Use more than one pin for a cascade effect. All of us use bobby pins to keep hair buns in place and every time i try this pins sticks out awkwardly. If this happens even with you next time try making a crown out of it! Do you love head bands? 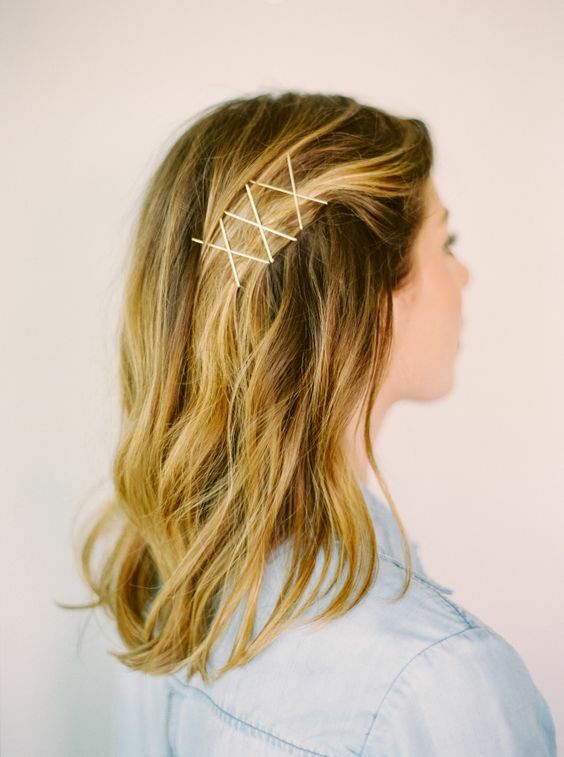 Try a bobby pin faux head band and grab all attention the effortless way. 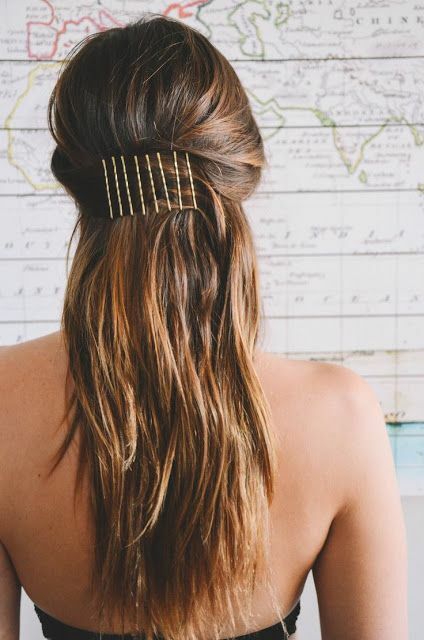 Who needs a hair piece when bobby pins can help you DIY one ! 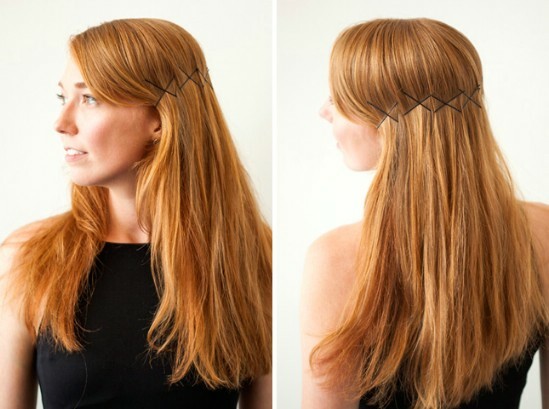 Slide the pins into a triangle pattern and secure your hair the fancy way. Infact go ahead and experiment, make an arrow, suare or even a hexagon! The right way to actually wear a bobby is to flip it and keep the wavy part against your head. This way you get a better grip. Do you like these bobby pin hair style ideas?